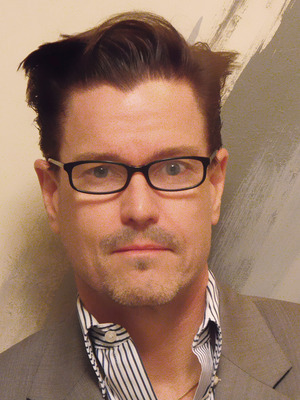 Scott Dension is Assistant Professor and Foundations Coordinator at The Ohio State University, where he teaches in the undergraduate and graduate programs, and coordinates the design foundations curriculum. He was previously a graduate teaching associate in Design, while completing his M.F.A. in 2013. Scott has more than thirty years of professional design experience working in print, graphics, television, web, environments and interiors. He has directed design services at large corporations and run his own design consulting firm working for/with companies such as Royal Dutch Philips Electronics, Motorola, Magnavox, Nokia, Lutron Electronics and Smith Corona. Scott's current research explores the intersection of design and narrative in an area known as design fiction. In addition to publishing papers on his research, he is also engaged in a long-term project developing a design fiction narrative, using 3D graphics in the form of a graphic novel - The Lightstream Chronicles.